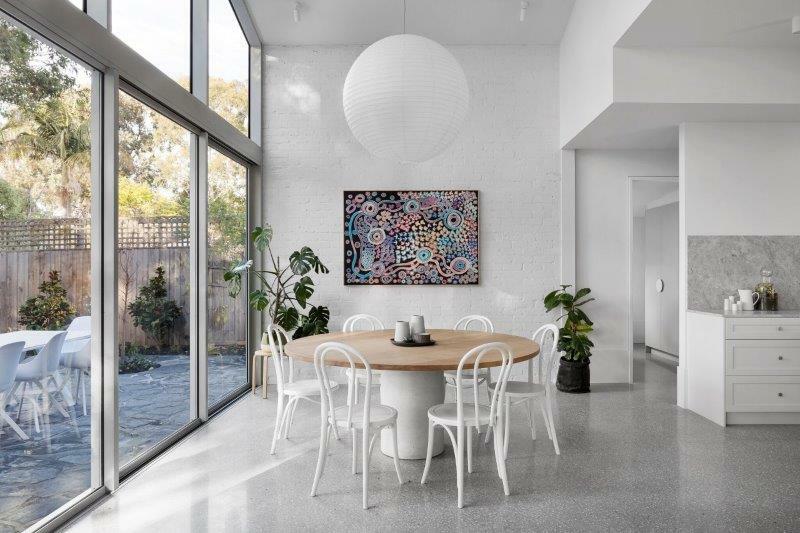 Alphington concrete grinding is a new, innovative flooring option for forward thinkers, interior designers and families alike. This Alphington concrete grinding is absolutely stunning. The gorgeous shades of grey instantly brighten the space, making it a more inviting place to entertain. Light bounces around the room, encouraging guests to observe and absorb the overall environment, and take note of the homeowner’s other brilliant design choices. 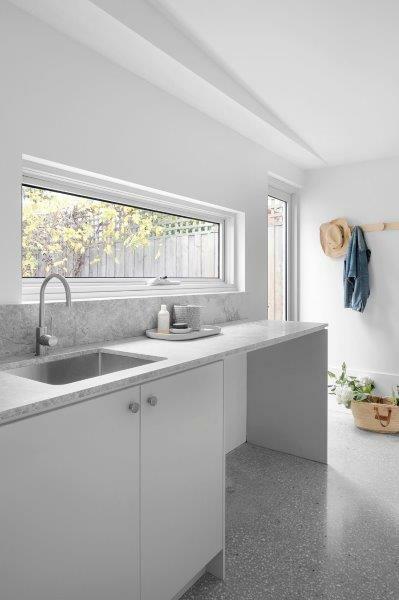 The kitchen is a particular space of note, indeed this Alphington concrete grinding achieves a look of simple elegance. 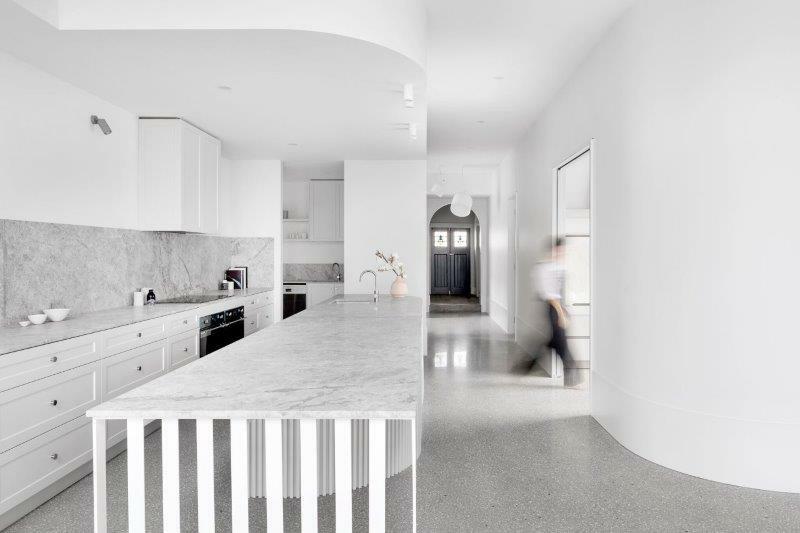 The grey, marble countertops compliment the exceptional concrete grinding work in the flooring; perfectly juxtaposing the white, crisp walls. 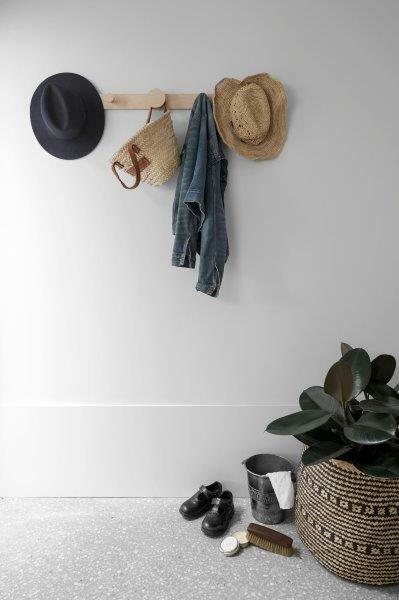 These neutral tones lend themselves to eye-catching pops of colour. 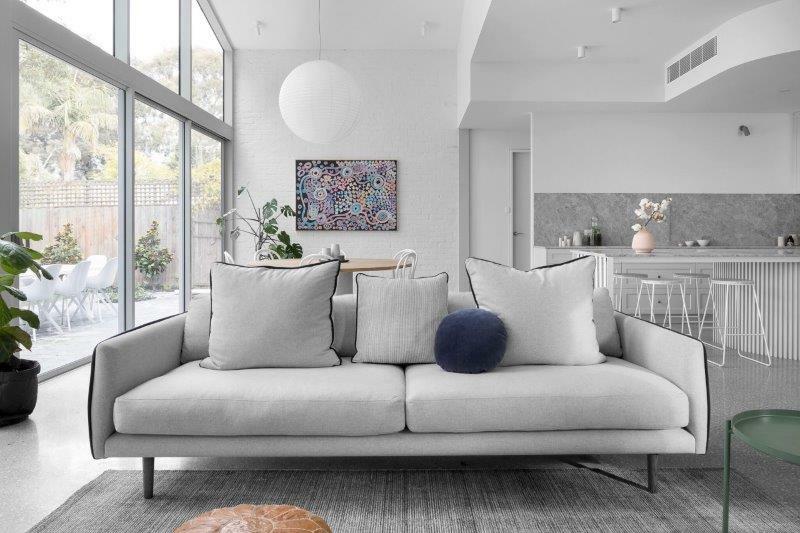 In this Alphington paradise, we see the room styled with a pink vase full of flowers, a brilliant choice you can emulate in your own homes if you opt for these versatile floors. It is almost unbelievable how beautiful this flooring is. It is accessible to amateur/first time renovators and young homeowners alike. Residents who opt for this material as flooring in their home also can take comfort in the fact that it is an environmentally friendly process. 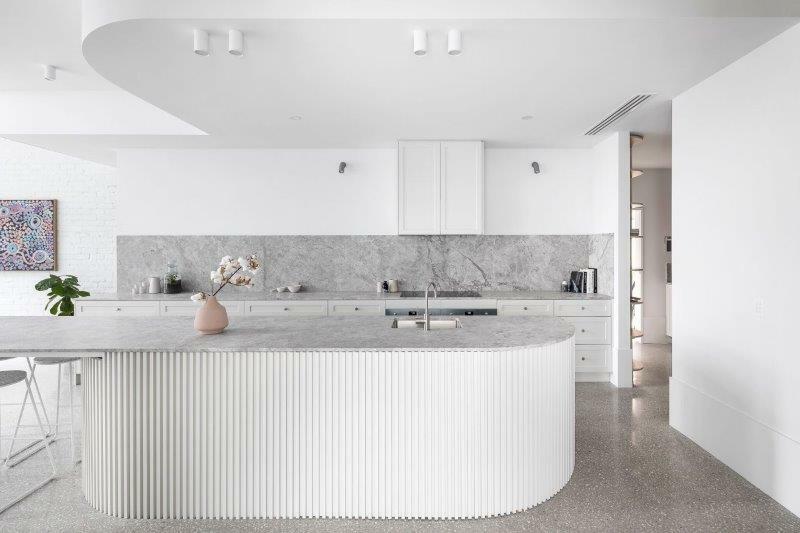 The grinding itself is a short process, and often existing concrete is worked on to revamp a space which previously seemed dull and bare with matte, aged concrete floors. The shiny, professional finish on these floors lift any room into the 21st century. Likewise, the main living space is invigorated by the implementation of these crisp, modern floors. The large, broad windows allow a high influx of light to completely fill the room, and similarly draw eyes to the adjacent outdoor area. It is so fitting that the garden is so beautiful on this property, as the Alphington concrete grinding process does not significantly harm the environment in any way. 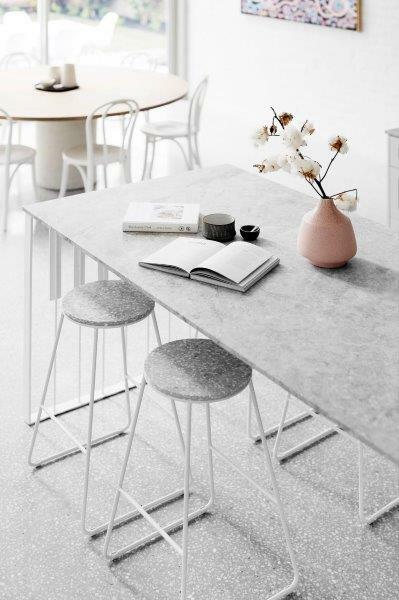 For more information on concrete grinding, an creating polished concrete floors as beautiful as these, contact Eco Grind today.